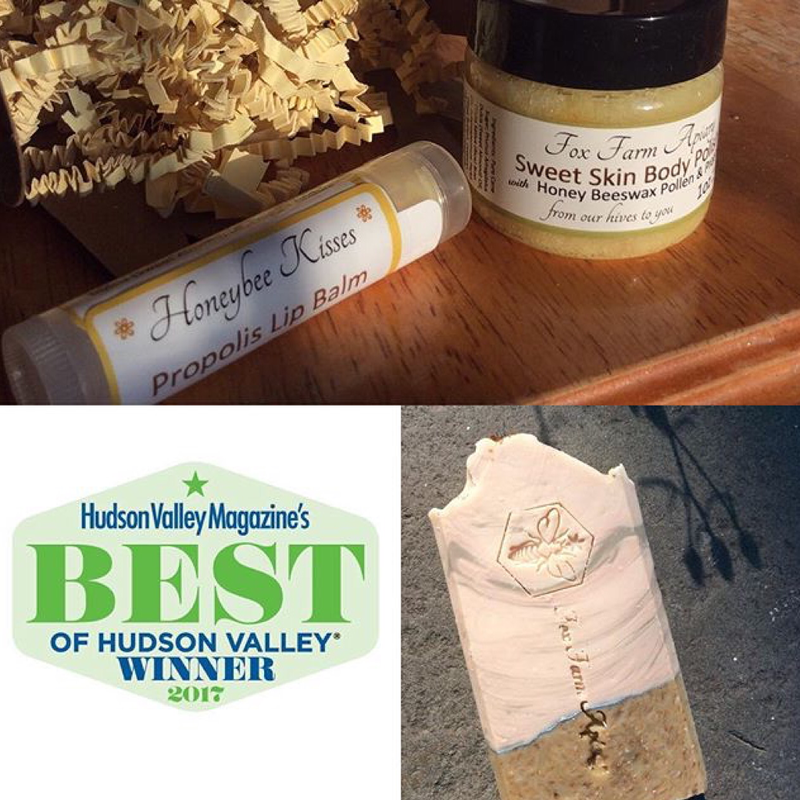 ​At Fox Farm Apiary we offer award-winning bodycare and herbal remedies handmade with intention, integrity and the honey, beeswax, pollen, propolis and botanicals produced by our honeybees. Lisa is a Certified Aromatherapist and Reiki Master with decades of experience in product formulation and essential oil blending. She takes pride in creating effective products that carry a strong sense of purpose and place. To browse our current offerings, the “shop” button on our Home Page will link you directly to our online Etsy shop. Throughout the year you can find us at the various craft shows and markets listed on the Events page found in the drop down menu above. Retailers who carry our products are listed on our Retailers Page. Your purchase supports the work we do with the honeybees, helping us to care for the bees and to offer education to local schools and community groups. We thank you for your support. At Fox Farm Apiary we believe simple is best, and take pride in offering honey that is pure and raw, as close as possible to the way Nature intended. Our bees forage in unsprayed meadows, bringing in clean pollen and nectar. 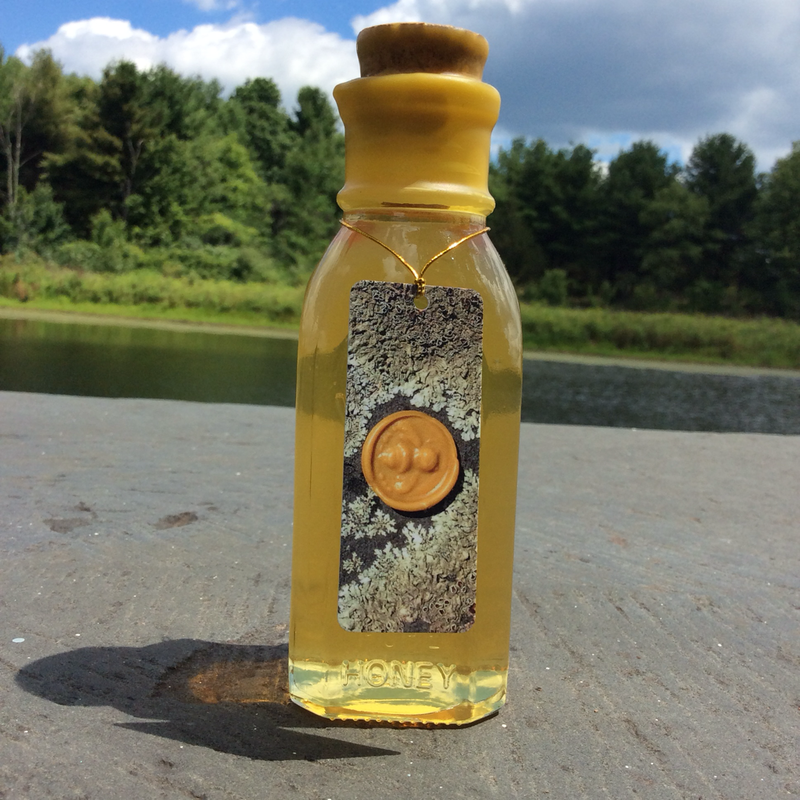 At harvest time, we simply uncap the honey, spin it to release it from the comb, loosely strain out any debris and bottle it for your pleasure. We never heat our honey, filter out the natural pollen or adulterate it, for that would not only compromise the taste but also would destroy the enzymes and other health-giving benefits. Further, you may rest assured that honey in a jar with the Fox Farm label is honey produced by our own bees. Honeybees produce honey to feed the hive's foragers and to feed and warm the colony over the long winter. Their health and well-being is our priority, and we harvest only honey that is in surplus to that needed to support the hive. Honey harvested in the Spring, after the first strong nectar flow, is lighter in both color and taste, and is fragrant with orchard blossoms and Spring ephemera. Both the color and flavor of our Late Summer honey is deeper and reflects the character of the late summer blooms, such as goldenrod and knotweed, that fill the fields around our apiary here at the farm. Our honey is seasonally available direct from the farm and at local markets. You may purchase our raw honey by patronizing our Retailers, or by contacting us at the telephone number or email address listed below. Currently, we do not offer honey for direct online purchase.